New-car sales in Europe rose 16 percent to 1.16 million in December in the 28th consecutive month of growth - with Ford Motor, Renault, PSA/Peugeot-Citroen among the best performers. Sales of scandal-hit Volkswagen-brand trailed the market rebound, hitting the company's market share. Full-year industrywide registrations in the EU and EFTA markets rose 9.2 percent to a six-year high of 14.2 million vehicles last year, according to data released by industry association ACEA today. In December, Renault sales jumped by 28 percent as the core Renault brand and low-cost Dacia marque had solid gains. Ford's volume was up 24 percent while PSA's registrations increased by 21 percent. 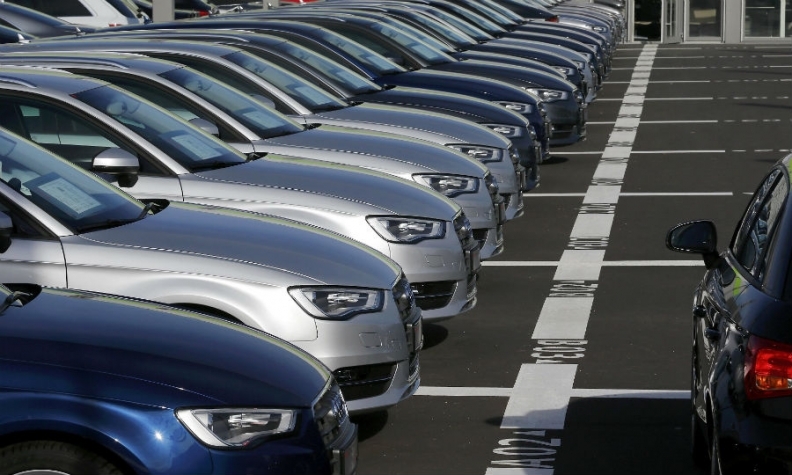 VW Group sales grew by just 4.4 percent last month, lagging the market, with VW brand's volume up 5.8 percent, Audi sales up 8 percent and Skoda rising 6.6. percent. Poor performances at Seat, whose sales fell 9.2 percent, and Porsche, whose volume plunged 12 percent, dragged down the 12-brand group. VW Group, Europe's top-selling automaker, saw its market share drop to 22.5 percent last month from 25 percent in December 2014. VW brand's share fell to 11.6 percent from 12.7 percent. "Volkswagen customers are so far taking a wait-and-see attitude" as the automaker works to resolve its emissions scandal, said Carlos da Silva, a Paris-based analyst at forecaster IHS Automotive. Among other mass-market brands, Hyundai sales grew 38 percent in December while sister marque Kia's volume was up 15 percent. Toyota and Lexus combined sales rose by 12 percent while Nissan's volume increased by 9 percent. Boosted by new products, Jaguar Land Rover and Volvo had sales gains of 43 percent and 34 percent respectively last month. The niche brands' growth outpaced luxury rivals BMW Group, whose volume grew by 19 percent, and Daimler, whose registrations rose by 14 percent. Fiat Chrysler Automobiles saw sales increase by 16 percent in December, with Fiat brand up 23 percent and Jeep sales rising 13 percent. Opel/Vauxhall's volume rose 4.6 percent during the month as the General Motors unit awaits a boost from the full market roll out of its new Astra. All the major national markets recorded increases last month, with Spain at 21 percent, Italy at 19 percent and France at 13 percent. UK sales were up 8.4 percent, while registrations in Germany rose 7.7 percent. The EU and EFTA region comprises the EU’s 28 countries, excluding Malta, plus Switzerland, Norway and Iceland. Athough industry sales grew for a second consecutive year in 2015, ACEA remained cautious. "This result is only now passing levels registered in 2010, immediately after the economic crisis," it said in a statement. "In other words, the trend is positive but, in absolute terms, volumes remain low."